President Trump's plan to defeat the Islamic State relies on the complex web of relations between the United States, Turkey, and the Kurds. As the Islamic State's territory continues to shrink in the Middle East, its henchmen and those inspired by the extremist group are increasingly lashing out at soft targets in the West. The types of attacks recently experienced in London and Manchester are likely to continue until the radical Islamist ideology that justifies and calls for those terrorist tactics is defeated from within. Muslims are required to give their pledge of bay'a (allegiance) to the caliphate if, according to the Sunni criteria, a legitimate caliph such as Abu Bakr al-Baghdadi is found. Its mere existence constitutes the greatest recruitment tool. Therefore, a crucial first step is taking away the territory that ISIS claims for its caliphate because it will lessen the magnetic pull on would-be jihadis. It brings into focus U.S. efforts to liberate the Islamic State's self-declared capital in Raqqa, Syria, which began last Monday. 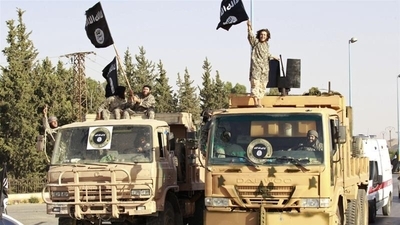 Reflecting the multiethnic composition of the U.S.-backed coalition—despite the overwhelmingly Kurdish participation—their ethnic Turkmen spokesman, Talal Silo, told Reuters the fighting would be fierce "because Daesh (Islamic State) will die to defend their so-called capital." The president's calculated gamble relies on the complex web of relations between the United States, Turkey and the Kurds. The Trump administration has had to engage in some intense wheeling and dealing to build an alliance for that task, requiring some careful wagering and side betting on the great Middle East craps table. Augmenting military plans drawn up during the Obama administration, President Trump expanded the partnership with the Kurdish People's Protection Units (YPG) in Syria. In October 2015, the United States dispatched a contingent of fifty special operators to help train and support the YPG because the group was identified as the most capable fighting force aligned against ISIS. From this effort, the Syrian Democratic Forces were born with the inclusion of some Sunni Arab militias. Although seen as an ally in Washington, the YPG is considered an enemy in Ankara because of their affiliation with the Kurdistan's Worker's Party (PKK), a Turkey-based Marxist-Leninist group also designated as a foreign terrorist organization by the U.S. State Department. The PKK have waged an insurgency in Turkey for some thirty years. Obama was focused on bringing home the last American troops from Iraq and lessening the American footprint in the Middle East. For Turkey, the writing was on the wall. When Syria shot down a Turkish aircraft in 2012, Obama backed Russia's version of events. The message to Ankara was further crystallized when he ignored Turkish evidence of Assad's use of chemical weapons months before the issue reached its zenith and when Obama walked away from his own red line in 2013 and invited in the Russians instead. The final nail in that coffin of cooperation came with Obama's dogged pursuit of a nuclear deal with Iran which allowed Syria to remain in Iran's sphere of influence. Like Qatar's royal Al-Thani family, the Turkish leader has long played a double game. He allowed the ISIS recruiting pipelines to run through his country and profited from the illicit trade opportunities it presented. As long as ISIS fought against the Kurds and the Assad regime, he saw them more as an asset than a liability. Erdoğan would still like to see Assad go, but after several costly ISIS terrorist attacks in Turkey, he acknowledges that ISIS should also be destroyed—or he understands that for President Trump, the regional eradication of the terror group is non-negotiable. Erdoğan is willing to play ball as long as the Kurds are not strengthened physically or geographically. Turkey's direct military involvement in the Syrian conflict has been mostly confined to periodic strikes at the Kurds in northern Syria and Iraq. They also hold the distinction of being the first NATO country to shoot down a Russian (or Soviet) warplane since the 1950s when Erdoğan claimed a Russian Sukhoi Su-24M attack aircraft entered Turkish airspace in November 2015—a move he took credit for himself. For Erdoğan, a lack of brazen courage has never been the problem and his belief that revenge is a dish best served cold has never been in doubt. He simply didn't want to own the larger Syrian mess and absent American leadership, NATO allies have proven less capable of working together towards a common objective, much less achieving one. Despite the disturbing dust up of his security services assaulting unarmed demonstrators in Washington, Turkey's president already understood what he could realistically hope for when he stepped inside the White House in May, so the result of the meeting was not surprising. On substance, he knew he wouldn't be able to convince the United States to trade coalition partners in the battle to retake Raqqa. The Trump administration notified Erdoğan of the decision to directly arm the Kurds a week before he arrived in Washington to avoid springing any surprises. The question was what could he get in return for allowing the U.S.-Kurdish partnership to continue unmolested? 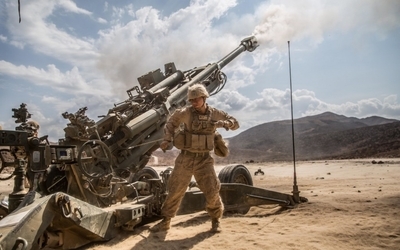 After all, many of America's Middle East partners are known not just for their ability to help the United States reach regional objectives but their ability to stymie them as well. That leads to the gamble President Trump is separately taking with Turkey and the Kurds. According to Soner Cagaptay, director of the Turkish Research Program at the Washington Institute for Near East Policy and author of The New Sultan: Erdoğan and the Crisis of Modern Turkey, the deal Erdoğan likely reached in Washington was for the United States to "compartmentalize its relations with the YPG in Syria and the PKK in Turkey and Iraq." That means Turkey will look the other way while the United States engages with the YPG to take out ISIS in Raqqa and the United States will turn a blind eye—if not support—Turkish efforts to attack the PKK in Iraq following the liberation of Raqqa and Mosul from ISIS. The United States is also signaling it would assist Turkey against the PKK's fundraising, drug trafficking and extortion networks in Europe. 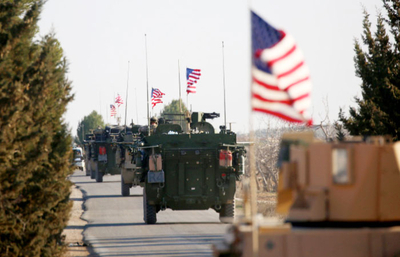 The deal, however, is contingent on American assurances that the YPG will not remain in Raqqa once it's liberated and that YPG fighters return their weapons to the United States when the mission is accomplished. And that's the rub. Cagaptay believes that while the YPG may return the weapons to the United States as Washington tracks them, he's not holding his breath that YPG fighters will leave Raqqa. In a recent conversation he explained, "The YPG wants to maximize its gains in Syria by having good ties with the Assad regime and the Russians on the one hand, and Washington on the other." He can envision a scenario where the YPG plays its own double game by attempting to leverage Raqqa, ultimately handing it over to the Assad regime and Russia in exchange for their recognition and protection of Kurdish economic autonomy in Syria. "Turkey wants to build a zone of influence in northern Iraq and Syria, extending north-south from the Turkish border, and Iran is trying to do the same in the area, extending east-west from the Iranian border," Cagaptay explained. "This means that the Iran and Turkish zones are grinding into each other. That's ultimately a recipe for Ankara-Tehran tensions which makes Turkey an ally for the Trump administration—especially if he has prioritized confronting Iran as a key foreign policy objective." Whether it is Turkey or the Kurds, either could end up playing the spoiler for President Trump's plan to combat ISIS and push back against Iran. The fact remains that despite Turkey's domestic lurch toward Islamism and authoritarianism at home—and its increasing partnerships with unsavory regional characters from the Muslim Brotherhood to Hamas, to various Al Qaeda offshoots, and an increasingly isolated Qatar—the country is still destined to play a major role in most facets of the Middle East by dint of history and geography. Despite the tactical sense it makes to partner with the YPG for military operations in Raqqa, it poses longer-term strategic issues for the United States. No matter Turkey's current transgressions, there's little doubt the Trump administration would prefer an increase in Turkey's sphere of influence over an expansion of Iran's Shia land corridor. A concurrent strategy to degrade ISIS and Iran is the right goal to avoid strengthening one at the expense of the other. That requires juggling many compartmentalized relationships and partnerships—and managing a long list of trade-offs in pursuit of those objectives. The fact that Trump appears to be weighing his options when it comes to Assad's future in Syria indicates he still has an important card yet to play in the coming months, whether it is with Turkey, the Kurds or Russia. Whatever he chooses, he will need to keep score diligently, and constantly reassess how the short-term military tactics are contributing to America's long-term political objectives in the Middle East.